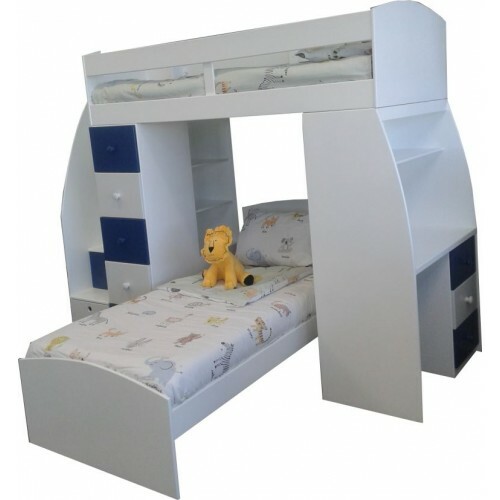 The Multibunk is perfect for kids who share a room. The stairs are drawers as well! Perfect for storage. All prices exclude Mattresses, Linen and accessories. Available in single and three quarter sizes. Pikkie bed The Pikkie bed is a junior-sized b..
Jade Bed SlattedAvailable in single & three qu..
Jade Bed - Solid Available in single & thre..
Kayla Bed Available in both single & th..
Roxy Bed - Slatted Roxy Bed available i..
Roxy Double Bunk(Ladder and safety rail included) ..
Roxy Double Bunk L-Shape(Includes ladder and safet.. 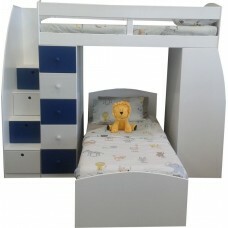 The Studio loft bunk bed - a well loved favourite!.. 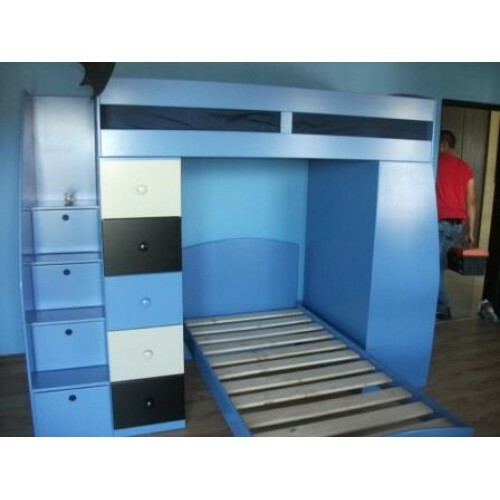 Roxy Bunk - Single on top/Double at the bottomThe ..
KC Bed All prices excludes Mattresses, Line..
KC Vintage Bed - grooved headboard and footend .. Single - Length: 2.02m Height: 1.9m .. Single - Length: 198cm Height: 185cm ..